See more objects with the tag personal, rounded, communication, music, digital, touchscreen, offices, tool, minimalism, telephones, organization, flat, sleek, innovative, keyboard, computing, map, cameras, talking, knowledge, software, toolbox. See more objects with the color darkslategrey grey darkslategrey slategrey or see all the colors for this object. This is a Mobile Telephone. 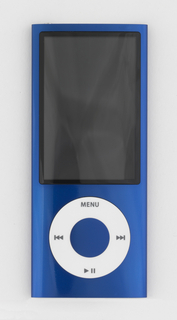 It was designed by Apple Industrial Design Team and the design director was Jonathan Ive and manufactured by Apple Inc.. It is dated 2007 and we acquired it in 2009. 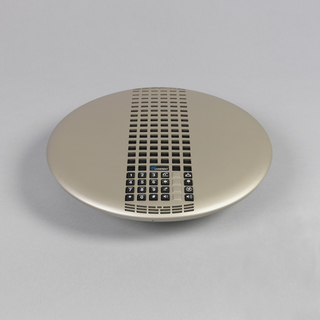 Its medium is molded abs plastic and polycarbonate resin, polished stainless steel, oleophobic coated glass, aluminum. It is a part of the Product Design and Decorative Arts department. 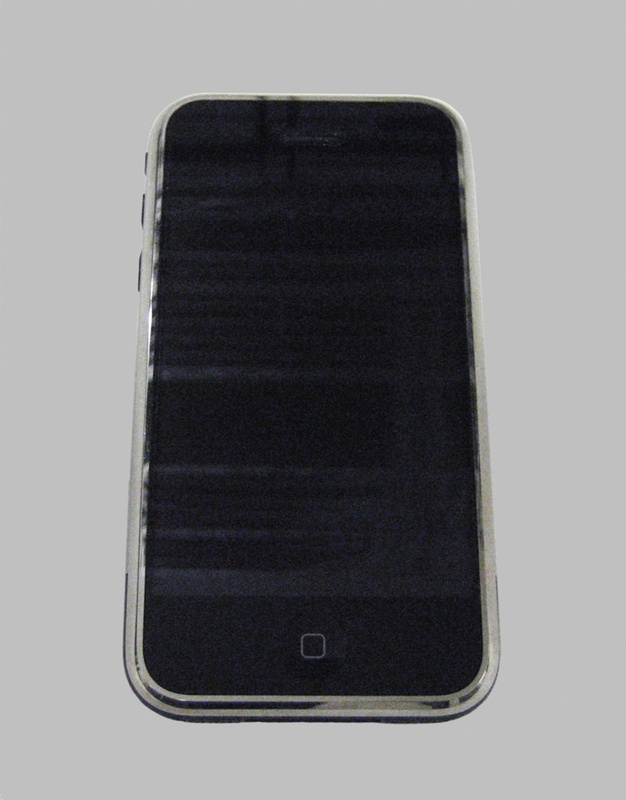 The iPhone is an innovative design by Apple Computer, Inc., and one of the most influential communications devices in the "smartphone” category. Responding to the burgeoning market for smartphones and building on its iPod series, Apple began developing the iPhone when then CEO, Steve Jobs, asked the company’s engineers to investigate touch screens—nearly three years before the iPhone’s 2007 debut. Although the firm collaborated with Cingular Wireless (now AT&T), Apple developed the iPhone’s innovative hardware and software in-house. Jobs unveiled the product in January 2007 for a June launch. The iPhone was hotly anticipated, with thousands of people lining up at Apple Stores throughout the United States hours before they went on sale. The iPhone’s extensive functionality, sleek appearance, and ease of use instantly attracted consumers of all ages. The iPhone is a monolithic slab that is light and comfortable in the hand. The iPhone’s face is almost entirely covered with a glass screen that displays easy-to-read brightly-colored applications and graphics. Among the most significant iPhone innovations is a touch-sensitive surface activated by a bare finger—previous touch screens had required a stylus. 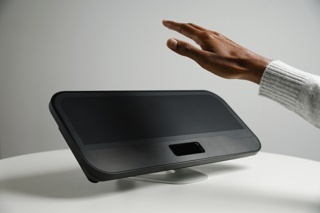 The sophisticated screen responds to a variety of touch gestures, enabling content access with tapping, pinching, dragging, or sliding motions. The display also responds to three sensors, allowing it to dim when not near the face or hand, and enabling it to shift from portrait to landscape mode depending on the orientation of the phone. 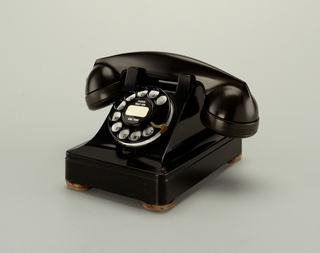 The iPhone would be the first smartphone in the museum’s collection. 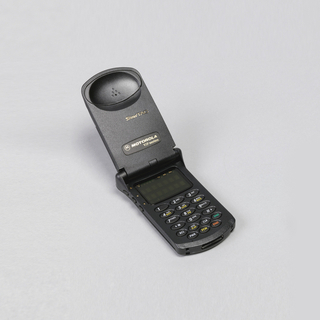 Other mobile devices held by the museum at the time of proposed acquisition include the IBM Simon (1993), a car phone by the German manufacturer AEG (1994), and Motorola’s StarTAC “clamshell” phone (1999). 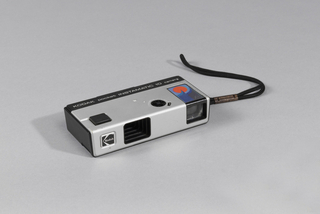 On reverse: Apple logo, product and other numbers, copyright date.